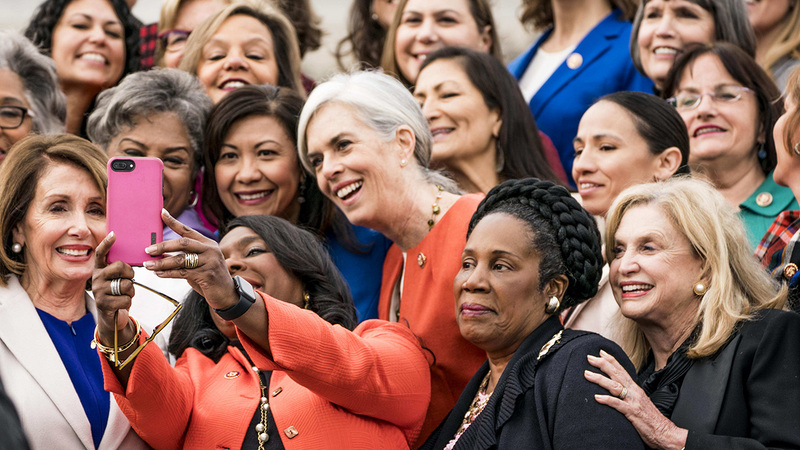 The 116th U.S. Congress took office in January, with Democrats taking control of the House while Republicans maintain an edge in the Senate. 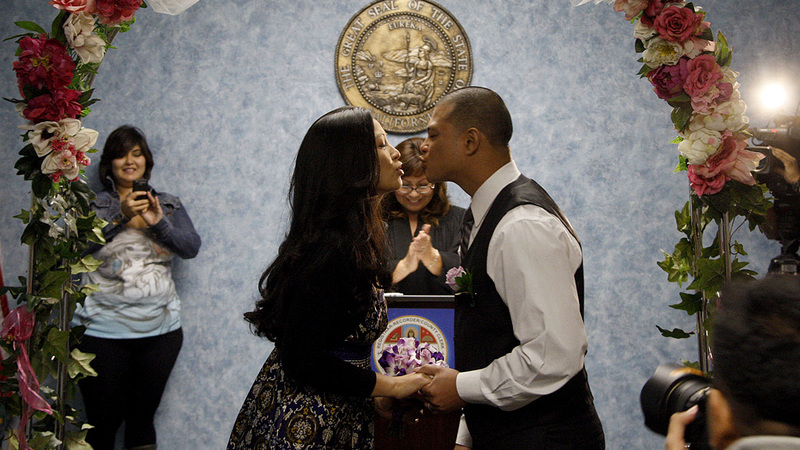 Apart from its political makeup, the new Congress differs from prior ones in other ways, including its demographics. Here are six charts that show how Congress has changed over time, using historical data from CQ Roll Call, the Brookings Institution, the Congressional Research Service and other sources. 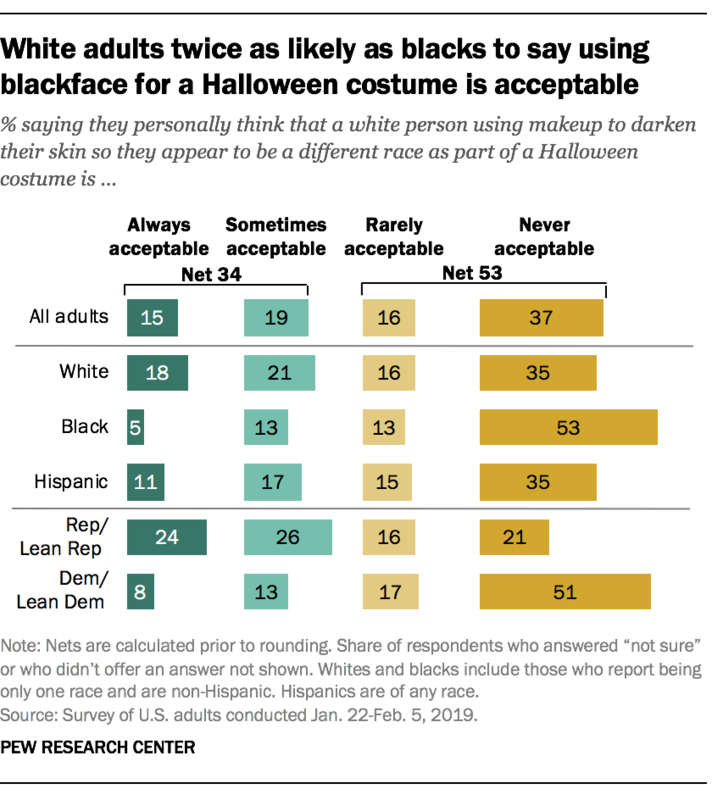 1 The current Congress is the most racially and ethnically diverse ever. 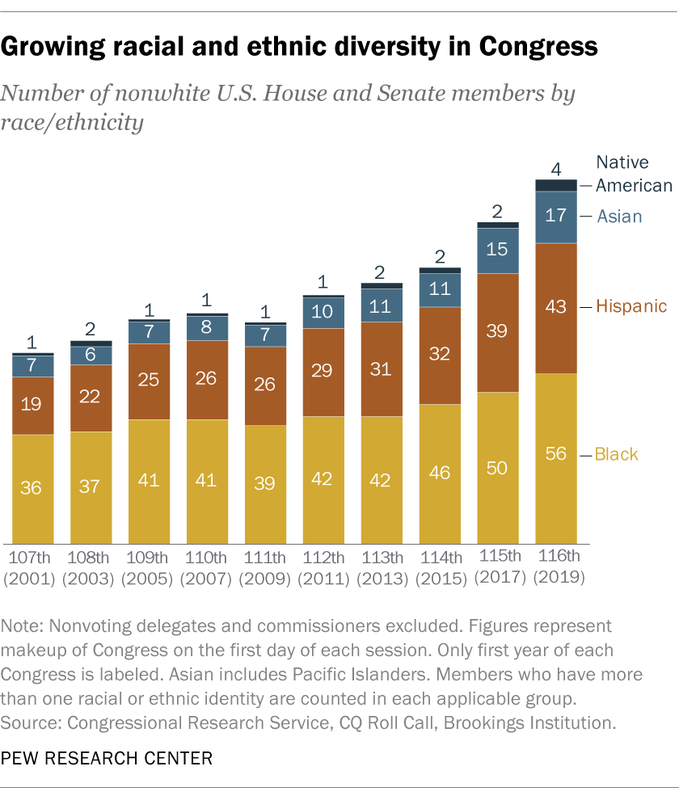 Nonwhites – including blacks, Hispanics, Asians/Pacific Islanders and Native Americans – now account for 22% of Congress, including a quarter of the House and 9% of the Senate. By comparison, when the 79th Congress took office in 1945, nonwhites represented just 1% of the House and Senate. 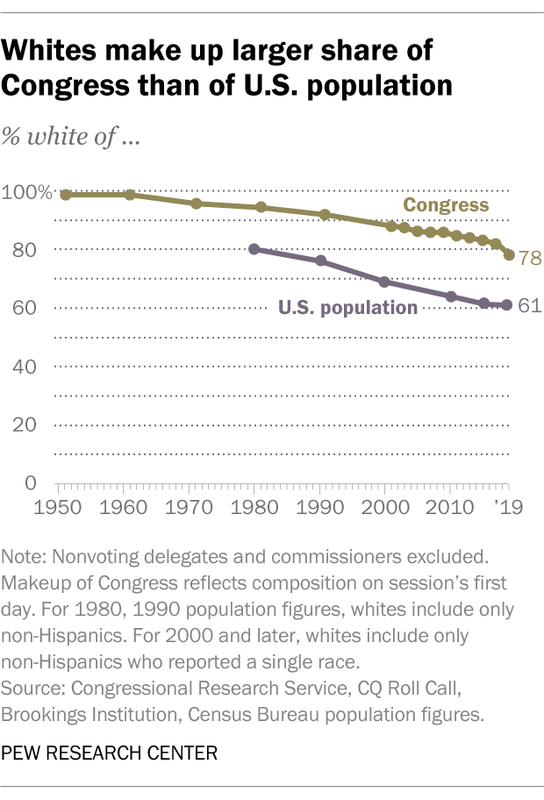 Despite this growing racial and ethnic diversity, Congress still lags the nation as a whole: The share of nonwhites in the United States is nearly double that of the country’s legislative body (39% vs. 22%). 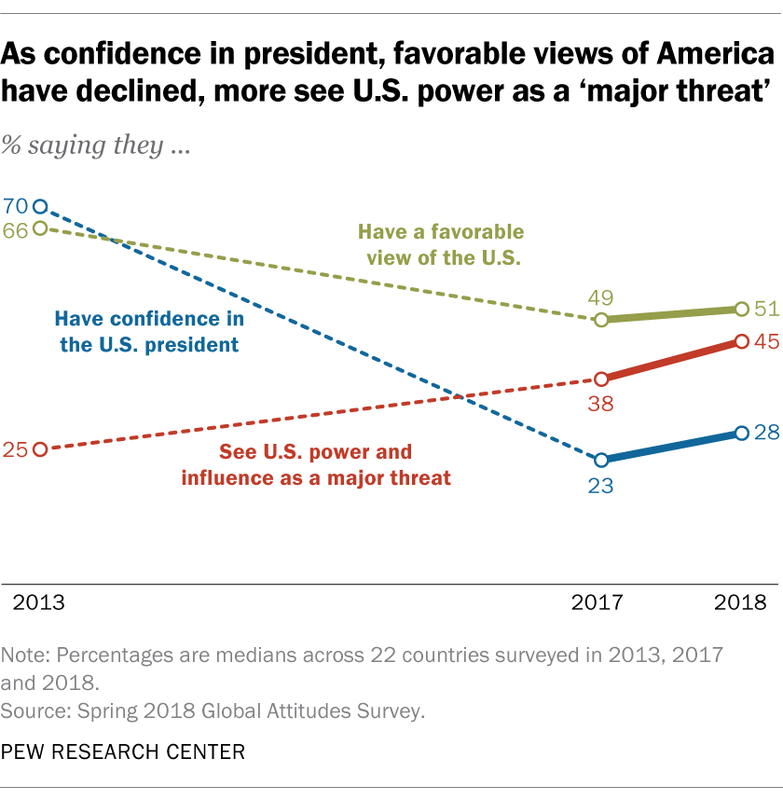 A growing share of people around the world see U.S. power and influence as a “major threat” to their country, and these views are linked with attitudes toward President Donald Trump and the United States as a whole, according to Pew Research Center surveys conducted in 22 nations since 2013. Despite these changes, U.S. power and influence still ranks below other perceived threats around the world. 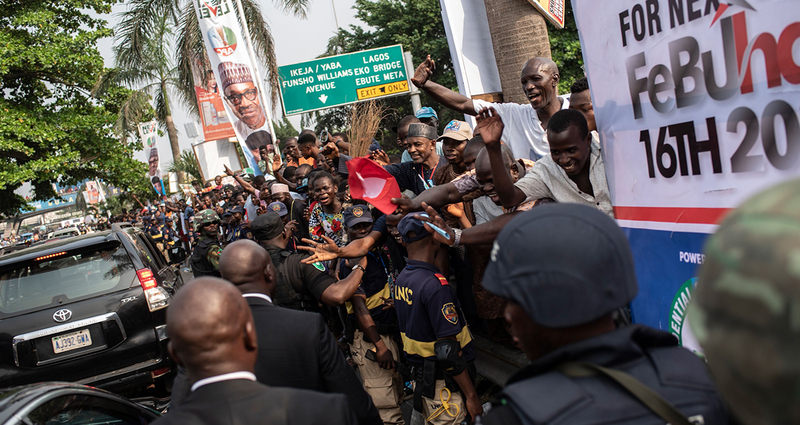 Considerably larger shares of people point to global climate change (seen as a major threat by a median of 67%), the Islamic militant group known as ISIS (cited by 62%) and cyberattacks (cited by 61%). U.S. power and influence, in fact, is not seen as the top threat in any of the countries surveyed. 1Algorithmically generated content platforms play a prominent role in Americans’ information diets. Sizable shares of U.S. adults now get news on sites like Facebook or YouTube that use algorithms to curate the content they show to their users. A study by the Center found that 81% of YouTube users say they at least occasionally watch the videos suggested by the platform’s recommendation algorithm, and that these recommendations encourage users to watch progressively longer content as they click through the videos suggested by the site. 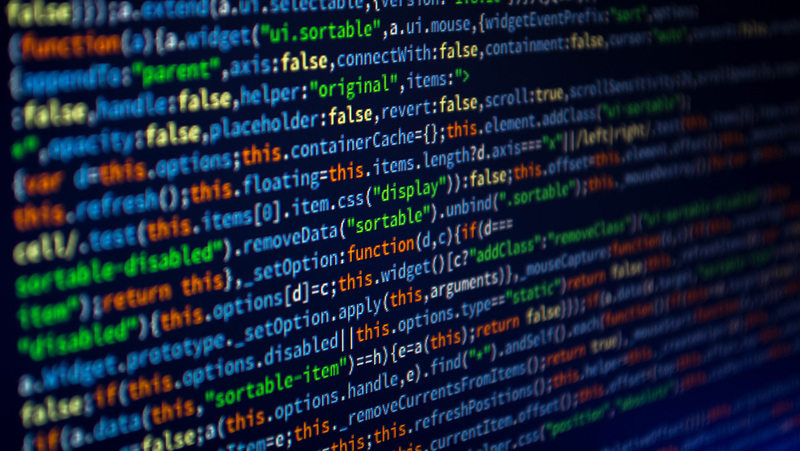 2 The inner workings of even the most common algorithms can be confusing to users. Facebook is among the most popular social media platforms, but roughly half of Facebook users – including six-in-ten users ages 50 and older – say they do not understand how the site’s algorithmically generated news feed selects which posts to show them. 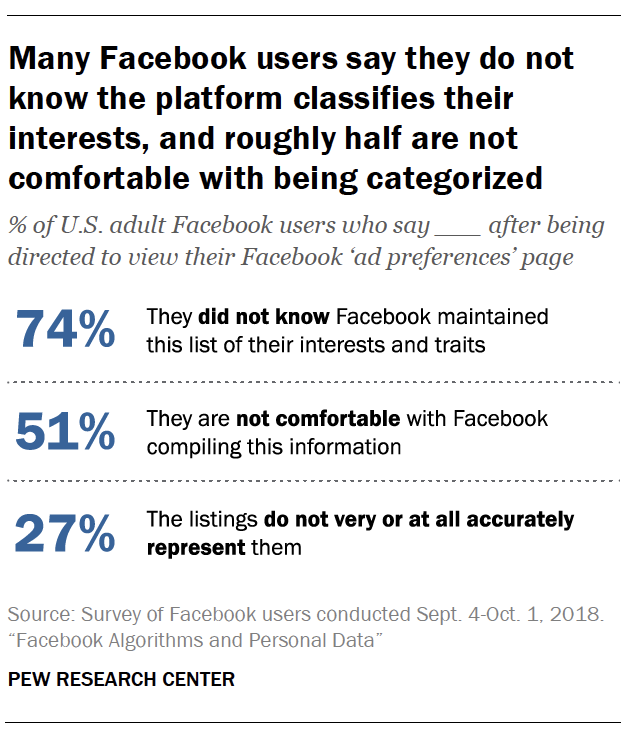 And around three-quarters of Facebook users are not aware that the site automatically estimates their interests and preferences based on their online behaviors in order to deliver them targeted advertisements and other content. 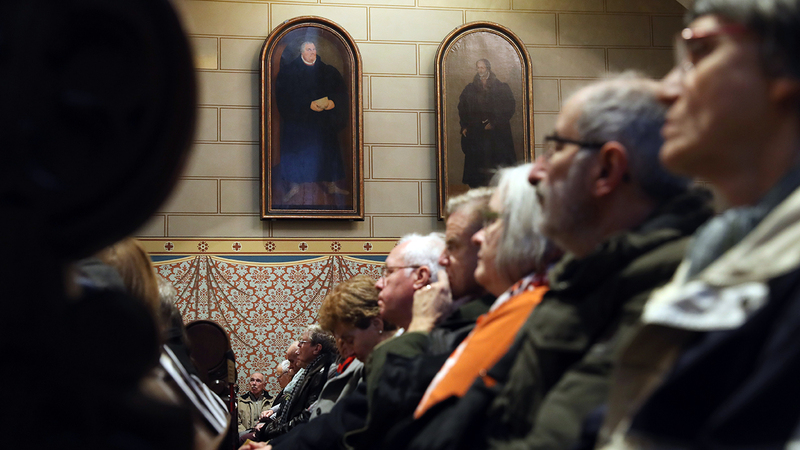 Germany is the birthplace of Martin Luther and the Protestant Reformation, but since the middle of the 20th century, the country has seen a dramatic shift away from Protestantism – one that has greatly outpaced a decline in the share of Germans who are Catholic. Protestants represented a majority (59%) of Germany’s population in 1950, with Catholics as a sizable minority (37%), according to research by Detlef Pollack and Olaf Müller, scholars of religion and sociology at the University of Münster in Germany. These shares are largely based on church membership rolls that include both children and adults. Over the next 60 years, the share of Protestants fell 30 percentage points, while the share of Catholics dropped 7 points. Each group now includes roughly three-in-ten Germans, based on 2010 membership data. 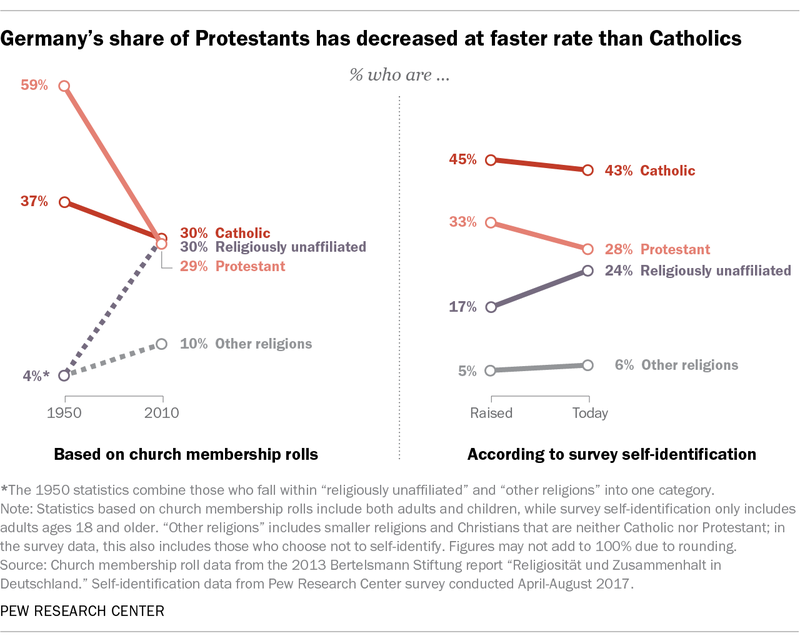 Declines in the shares of Protestants and Catholics have been accompanied by a rising share of the religiously unaffiliated, who accounted for 30% of Germans in 2010, up from fewer than 4% in 1950. And recent research indicates that the share of Muslims in Germany also has been growing in recent years, due in large part to immigration.